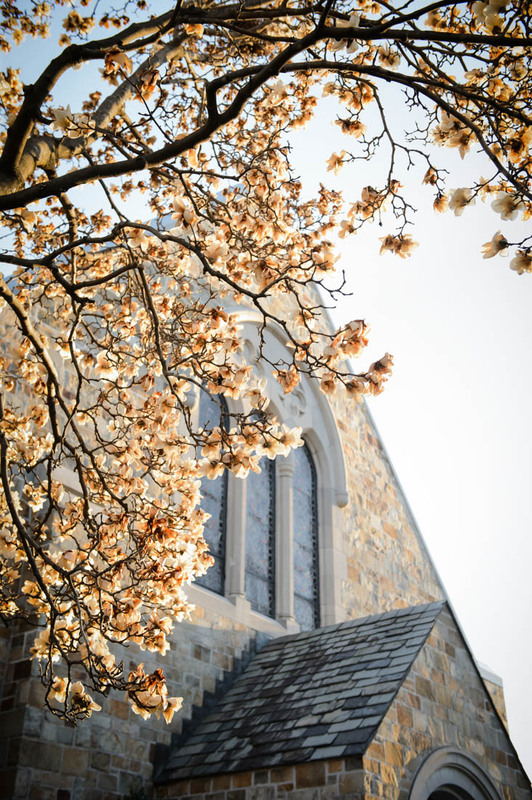 An exterior shot of the underside of a branch of cherry blossoms that surround the peak of the roof of the church that will soon host the wedding. This photo shoot was really fun with this vintage church with this beautiful cherry blossom tree in front. it really brought out the colors in the rock of the church and just made it all pop. I used the sun as a back light for this photo which made the blossoms on the tree glow in front of the top of the church.